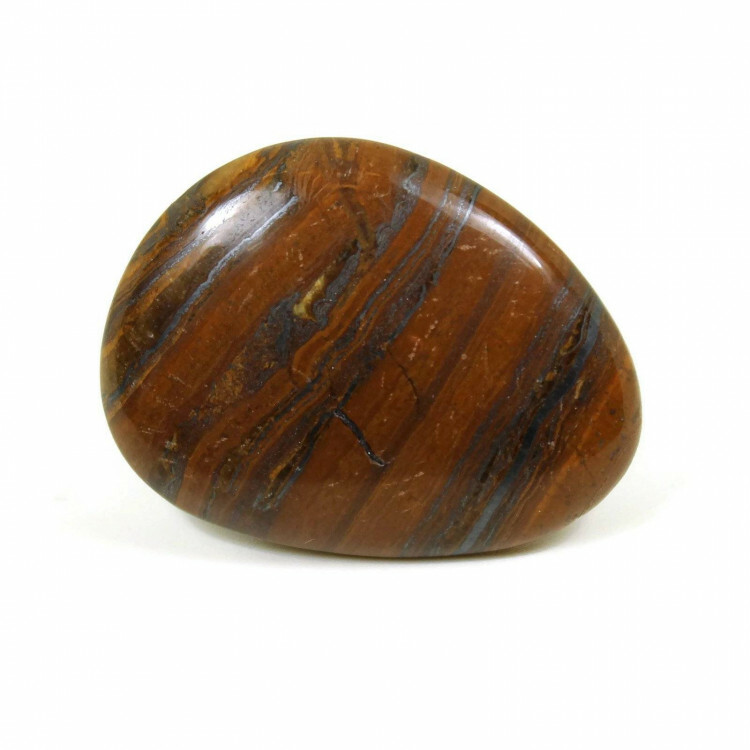 Lovely Tiger Iron palmstones, measuring between 30-50MM approximately. Small Tiger Iron Palmstones, measuring between 30-50MM approximately. 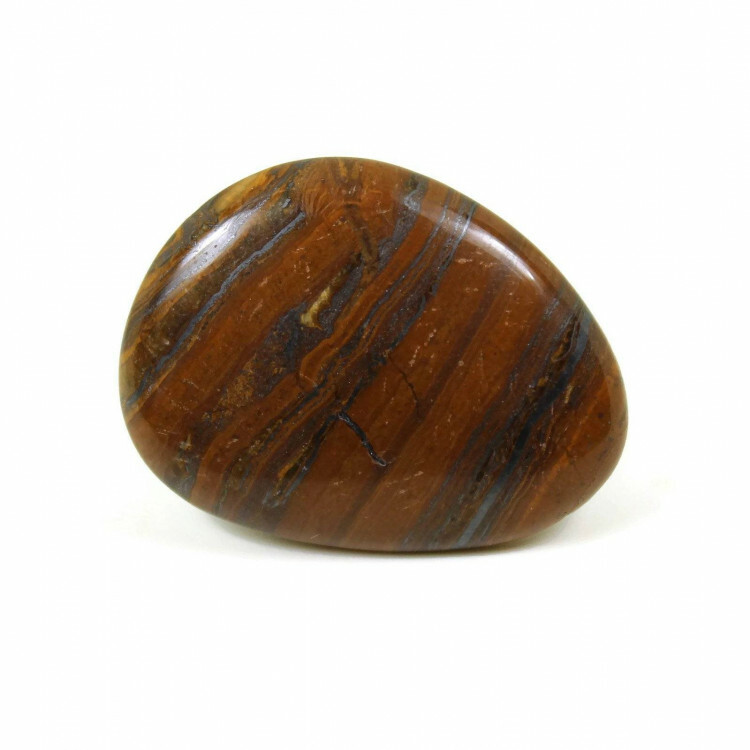 Because of the nature of stone carvings, the appearance, sizes, and thickness of these pieces may vary quite a bit. They may have inclusions in various colours, but typically, they are good quality with nice banding. 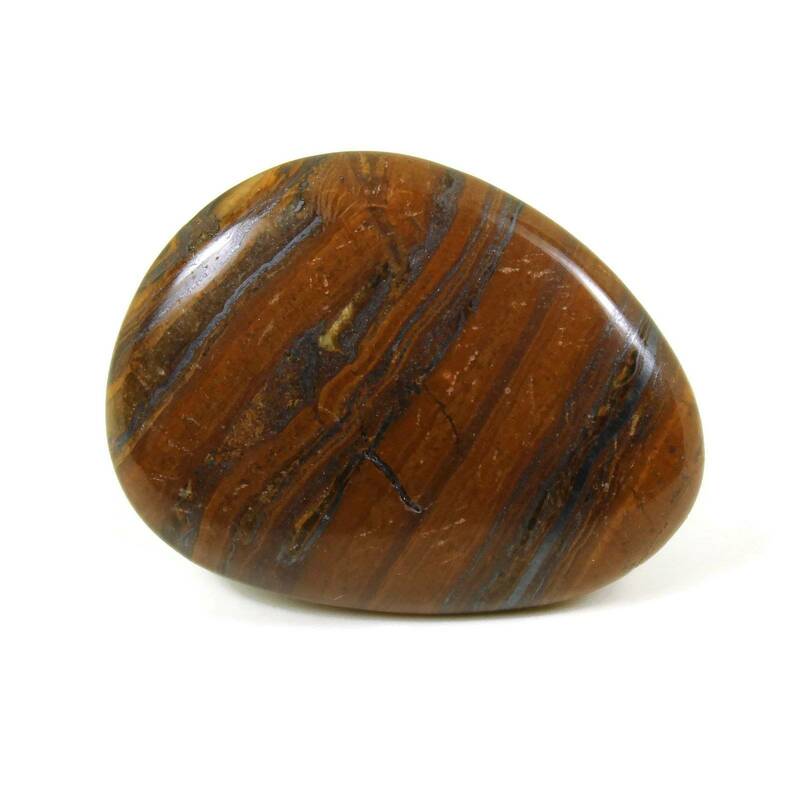 Tigers Eye is a very well known stone, but Tiger Iron is less so. The difference, really, lies in stripes of Hematite, Magnetite, or other iron ores permeating the piece. You can see this banding in the photos, as a shiny metal surface. For more information about Tiger Iron and a full list of all of our related products, please see our main ‘Tiger Iron’ section.